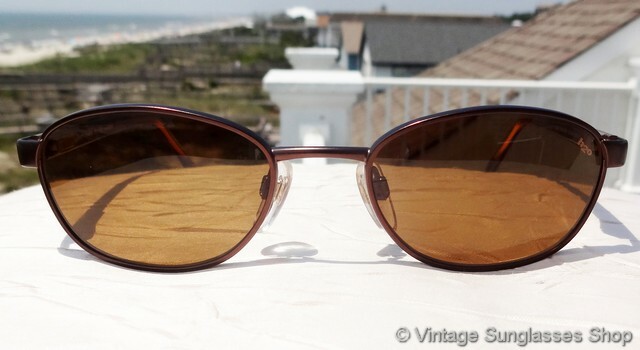 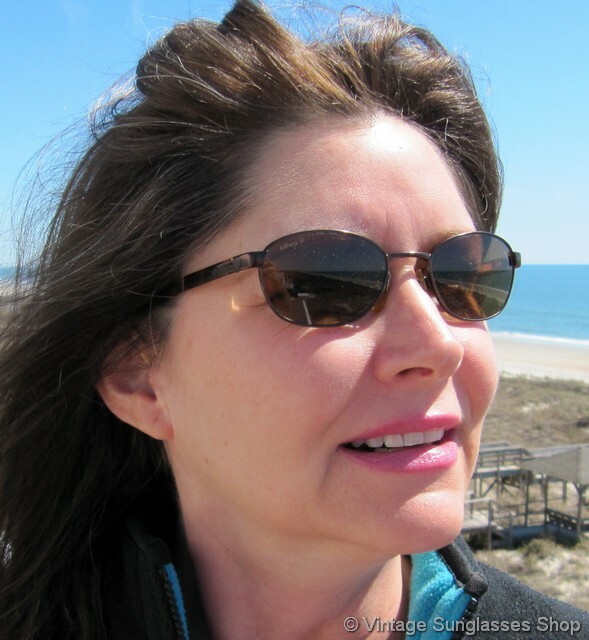 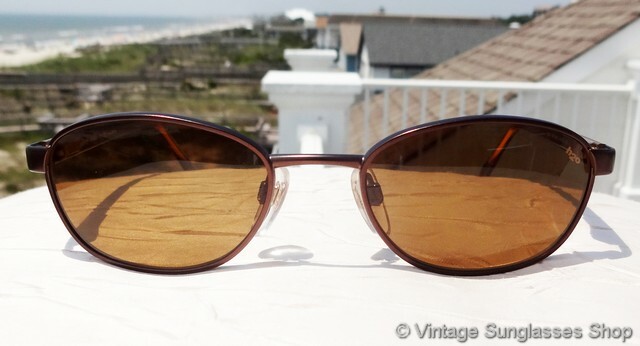 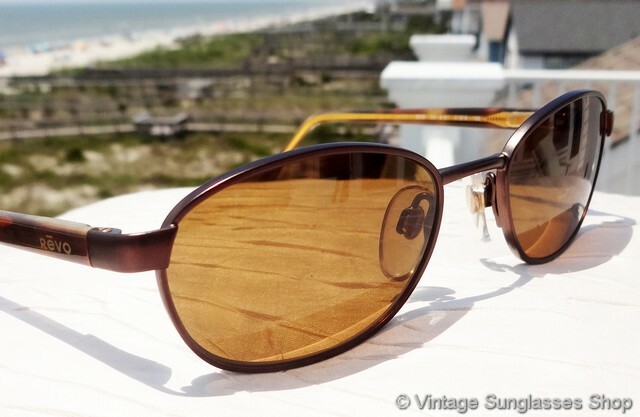 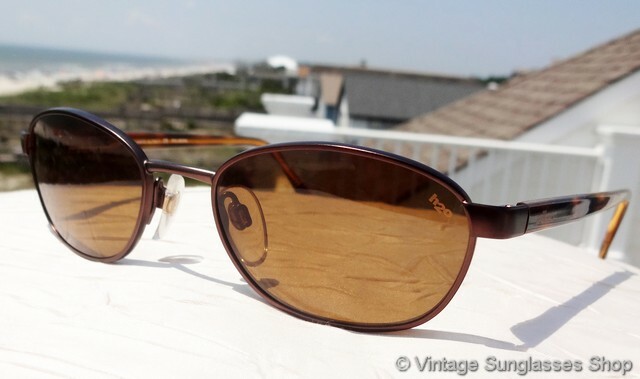 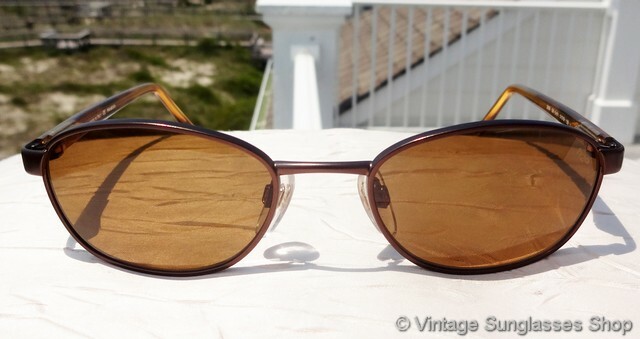 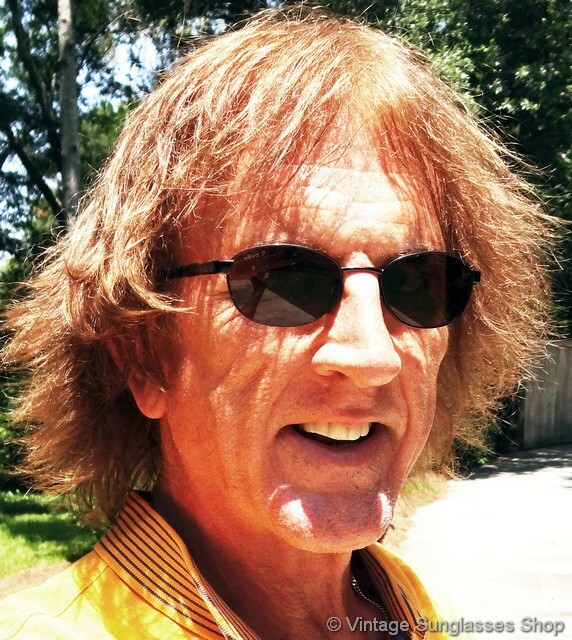 1 Vintage Revo 3009 081 sunglasses feature a gleaming bronze front frame and hinges, tortoise shell ear stems, and Revo top of the line brown H2O polarized mineral glass lenses. 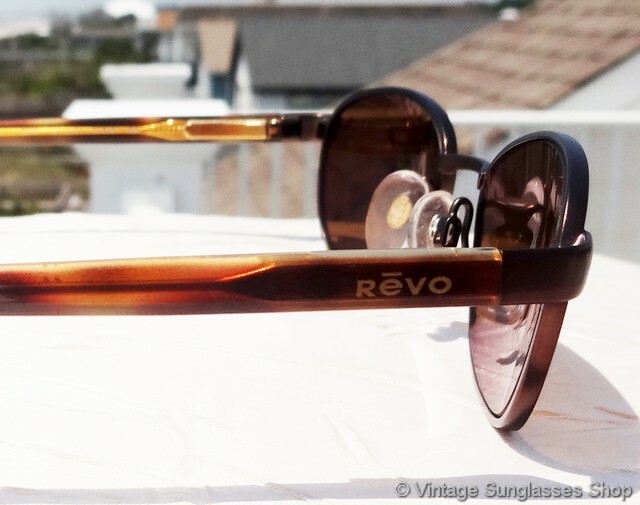 From the side, the tortoise shell ear stems and bronze / copper hinges at the temples really give these vintage Revo sunglasses an understated yet eye catching fashion look. 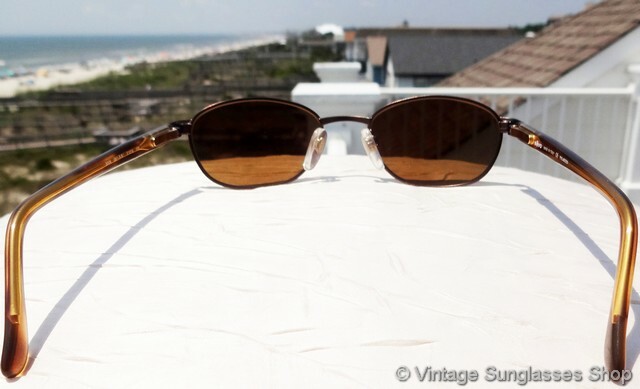 The Revo h20 polarized lenses measure approximately 2.0" x 1.375" at the widest points with right lens laser etched Revo P and left lens laser etched H2O, and the unisex Revo 3009 frame measures approximately 5.25" temple to temple. 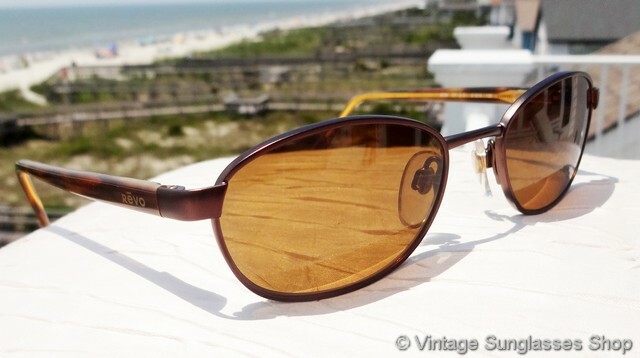 One ear stem is marked Revo Made in Italy CE Polarized while the other stem is marked 3009 081-S/61 51 19 135. 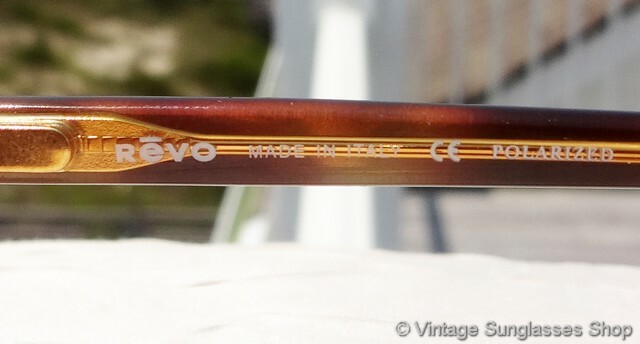 You'll find the Revo logo embossed on each of the tortoise shell ear stems, part of a major San Francisco, CA estate collection of vintage eyewear consigned exclusively to the Vintage Sunglasses Shop. 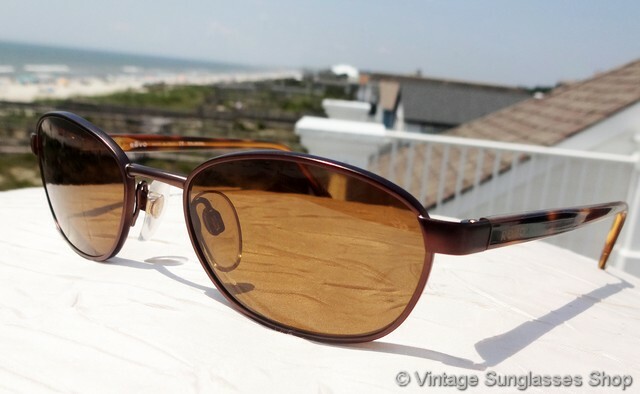 2 Step up another level beyond our already unequaled vintage condition standards with new old stock Revo 3009 081 sunglasses in mint, unworn condition.